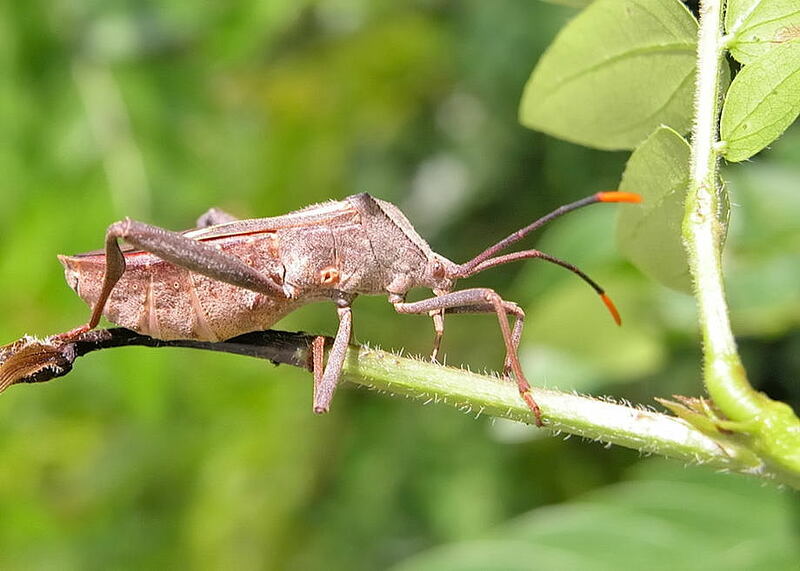 This page contains pictures and information about Squash Bugs in tribe Mictini that we found in the Brisbane area, Queensland, Australia. Bugs in this group usually have the lateral angles on the pronotum. Member in tribe Mictini are believed to feed mostly on legumes, plants in the family Fabaceae, include the new shots and the fruits. 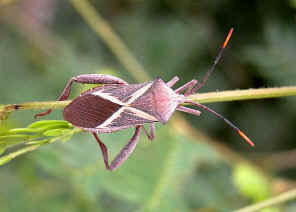 This bug is dark brown in colour and with a diagonal white cross on its back like the Crusader's shield. 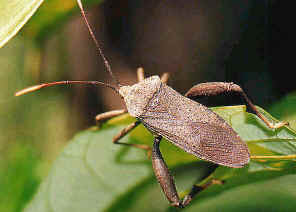 Its hind legs are thick and strong. 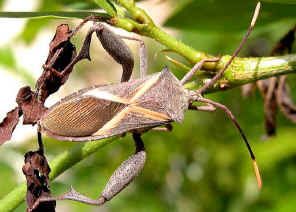 On day time I find many of them feeding on plants just do not care if there are any predators. More information click here. 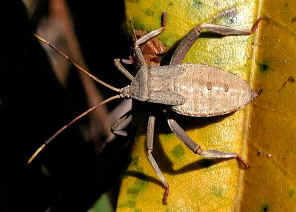 We found this large squash bugs along Bulimba Creek in Yugarapul Park during summer season. 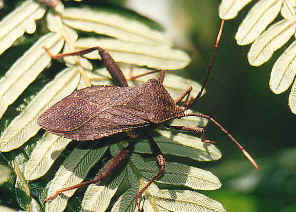 The bugs are brown in colour, with strong hind legs and round shoulder. They were found on different plants so we are not sure what is their host plant. More pictures and information can be found in this page. 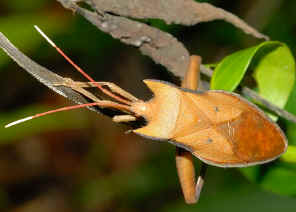 The bug adults were brown in colour, with the armour shape thorax. 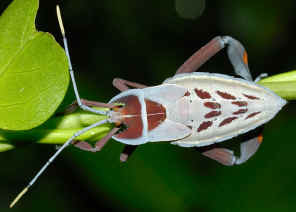 The head is small, has four segmented antenna with white tip. 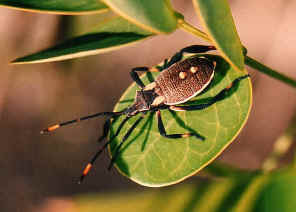 The hind legs expanded and somewhat leaf-like. 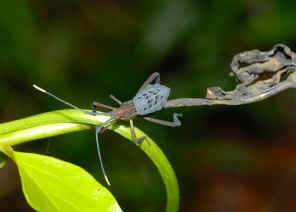 Last instars has the same body shape as adult, with the armour shape thorax. They are pale blue in colour with brown spots. Please check this page for more pictures and information.